A beautiful 18″ x 24″ poster by Tuckey’s illustrator Rod Cole. 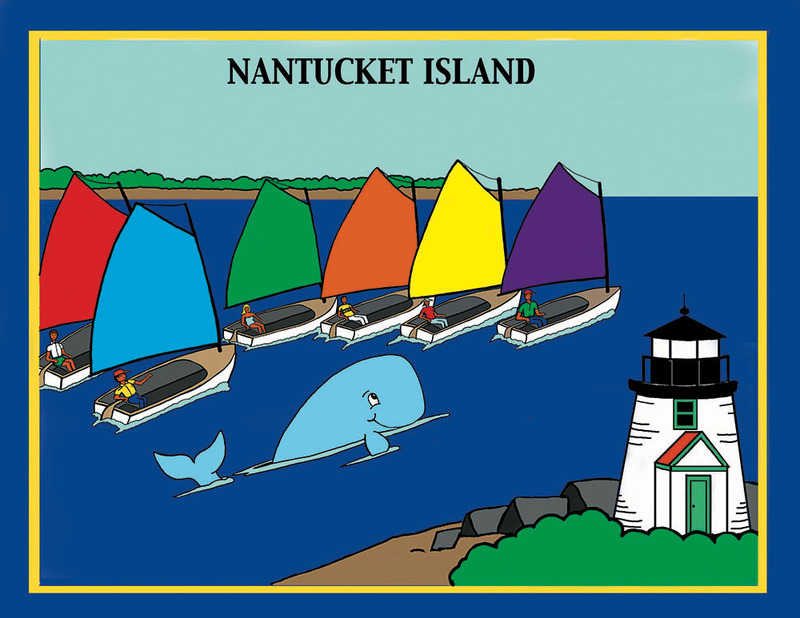 Tuckey loves to swim and race with the sailboats in the Rainbow Fleet. Here they are racing by the Brant Point Lighthouse. Let these colorful sailboats decorate your room and help you remember this exciting race.